Any item of clothing that claims to be designed for adventure is my kind of thing. In an attempt to minimalise my life - and since I spend so much time outdoors anyway - most of my clothes are some kind of cross-over between city-living and outdoor-ready - whether that be a vintage check shirt I wear in the hills, or a backpack that I can use to carry my laptop to a cafe and my climbing rope to a crag. For me, the Rab Microlight Alpine Jacket ticks all these boxes; it can just as easily be worn wandering around Manchester as it can hiking in Scotland. The Microlight Alpine is designed with warmth, weight and packability as its key concerns. With a 750-fill* of European ethically-sourced goose down**, the jacket is super cosy the second you put it on. Yet due to the high quality of the down, the jacket isn’t at all bulky, but instead it packs down into a small stuff-sack that I keep stored in my pocket. When packed away, the jacket can be swung inside a rucksack taking up hardly any space. 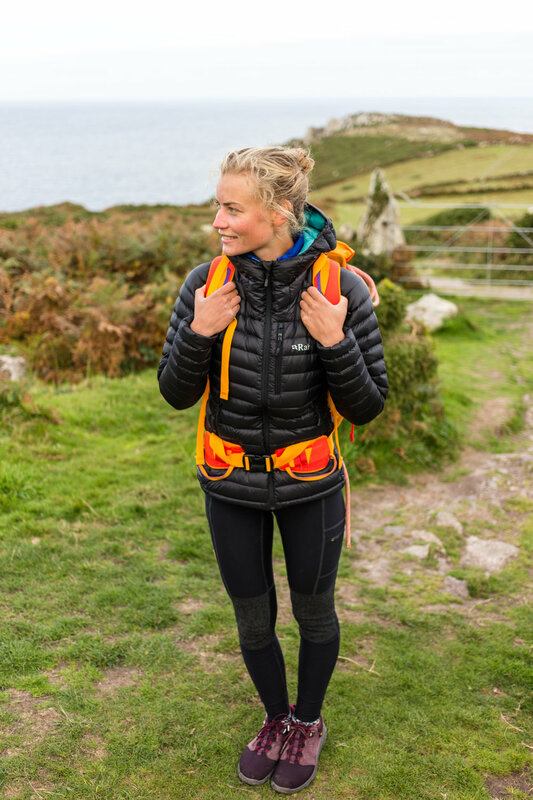 Rab have got the warm-weight-packability spot on with this jacket. Other key features I love are the comfortable, elasticated cuffs, the helmet-compatible hood, and harness compatible pockets, so I could also wear the jacket for chilly climbing or mountaineering missions. The fit of the jacket is just the right length covering part of my bum for extra warmth, while the jacket is slim enough to fit a harness or backpack waist strap over the top. For me, this jacket is ideal to see me through the whole of British winter; layered with a fleece and base-layer in the coldest temperatures, or just with a t-shirt in milder Autumn weather. I would highly recommend the Rab Microlight Alpine jacket for anyone looking for a year-round down jacket that they can wear out in the hills or around town. The Microlight Alpine Jacket costs £190. *The fill-power (or FP) of a jacket refers to the quality of the down inside. The higher the number, the better the quality of down, which means less needs to be used to make a jacket warm. This is why less bulky jackets are often warmer, if they have a higher quality of down inside. As a general rule, anything about 600 is high-quality down. So far in the industry, the highest number available is around 850FP. **The European Responsible Down Standard prohibits live-plucking and force-feeding of ducks and geese. It also ensures animals are allowed the ‘Five Freedoms’ as outlined here. You can find out more about the RDS here and their impact here. If you’re concerned about animal welfare, please make sure you check that the next down jacket you buy uses down that is RDS approved, recycled, or has any other ethical assurances. 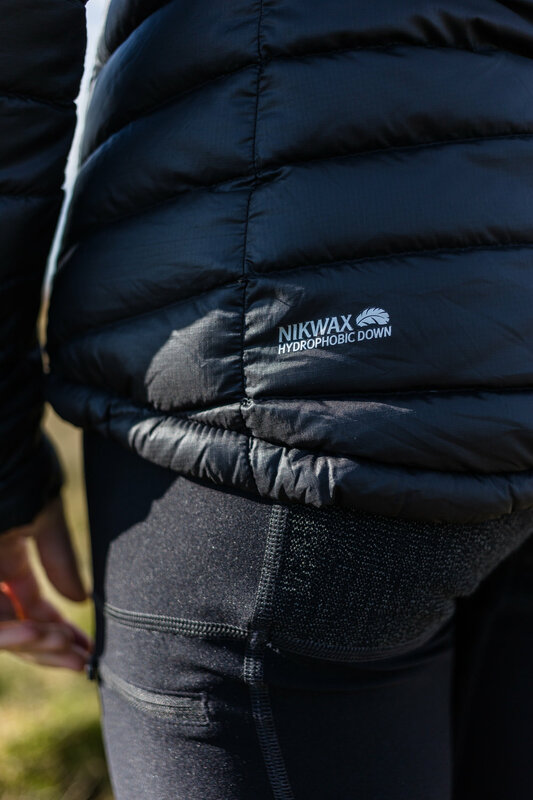 More and more of the leading outdoor brands do use ethically sourced down, however your cheaper down jackets probably don’t, won’t be as warm or last as long. Spending a little more for these factors is definitely worth it.